New Delhi, December, 2015: Blue Bird Water Purifier a new member in the Bluebird Group of companies has launched its new range of Blue bird Water Softeners. These Water Softeners have become synonymous with offering purity and is known for its robustness in technological performance and innovative designs enhancing quality of everyday living. 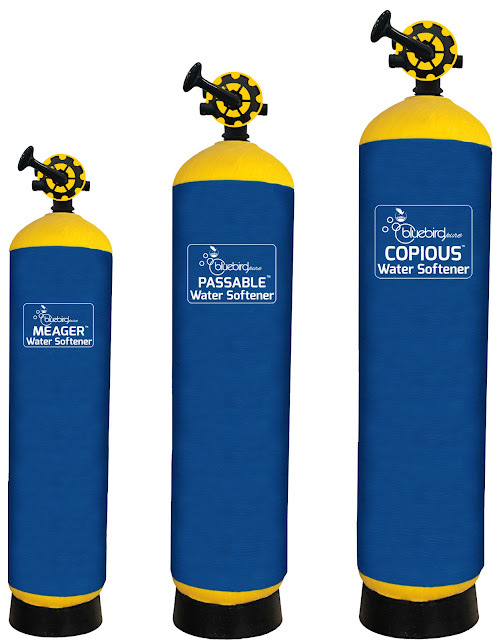 Bluebird’s new range of Water softeners is available in three categories Meager, Passable & Copious from 80 liters to 150 liters resin quantity which caters the need of domestic consumer. Two types of resin under brand name Blueion 550 & Blueion 1100. Blueion 550 works perfectly up to 800 ppm hardness in water and Blueion1100 is fit for hardness up to 1200 ppm. It decreases up to 70% hardness of water. Whole Vessel is made up of FRP including leg with life time warranty on vessel. Bluebird’s water softener results are amazing as its usage makes Crockery’s & Utensils Spotless, Cleaner & shinier, It reduces consumption of detergent, soap, shampoo etc, it preserves the life of appliances such as Washing machine, Water Heater laundry equipment etc, Prevents Tap flush, Shower Head, Plumbing live from clogging due to deposition of calcium. Soft & Clean skin. Smooth & Shiny Hair. You can visit the website of blue bird water purifier at http://www.bluebirdwaterpurifiers.com/ for more details.